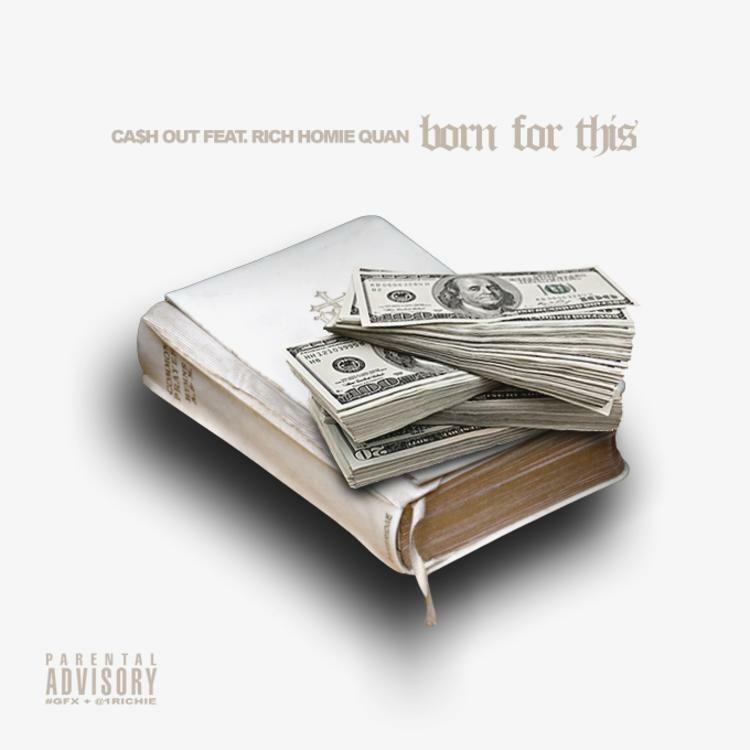 Atlanta's Ca$h Out and Rich Homie Quan were both born for this. Two Atlanta hit hop staples, Ca$h Out and Rich Homie Quan have very complementary styles. They link up again on “Born For This.” It’s an infectious, upbeat track, with production from Carter X. With this billing, our first inclination was to expect a hard trap banger, but the song is relatively subdued. Carter X stays away from the rapid-fire snare work that’s so common coming from Atlanta and uses a muted keyboard line to carry the melody. It’s a sound that’s almost tropical. Rich Homie and Ca$h Out trade bars about how they’re using their fame to put on for their homies and hook everyone up. Ca$h Out has an as-of-yet-unnamed project on the way, so be on the lookout for that.